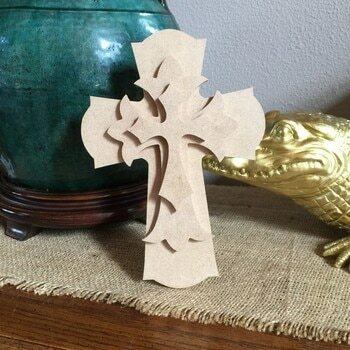 Join us today to make this great 3-D standing cross. You’ll b using a variety of paint and mixed media to create the 3 layer design. You’ll be able to take these home today, just in time for Easter. $12 per cross. PLEASE RSVP as quantity is limited. Payment due at time of reservation. NO Refunds can be issued once you register for Canvas Events. A Credit to attend a future class will be issued if Cancellation is made more than 24 Hours before hand.